Neville grooming, look sharp, feel good & smell great! From the mastermind behind the British beauty and lifestyle brand Cowshed, Neville is the ultimate in premium British grooming for gents who like to look sharp in seconds. Christina Russillo, Director of Cowshed comments; “Cowshed currently offers an array of award-winning products; and whilst we have a men’s range within our portfolio, we wanted to offer the modern man a unique grooming experience steeped in British barber shop tradition and heritage. 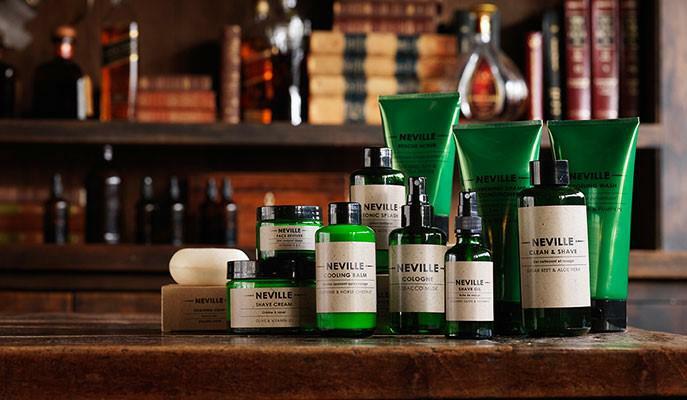 The no nonsense essence of Neville will keep men looking at the top of their game each and every day with a choice of one of different grooming products. Discover the full range here!